New Entry-level Honda CR-V | What Car? The Honda CR-V will get sub-120g/km emissions, thanks to this new version fitted with a 1.6-litre turbodiesel engine. 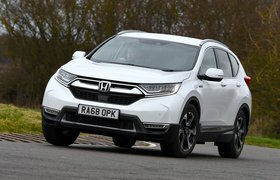 The CR-V 1.6 i-DTEC is a front-wheel-drive version of the recently launched SUV, equipped with a 118bhp version of Honda's latest 1.6-litre diesel engine. 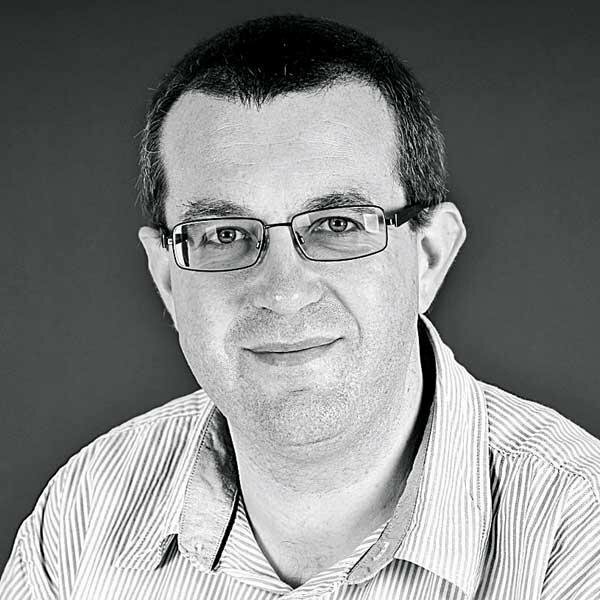 The motor has 221lb ft of torque at 2000rpm and it weighs 47kg less than Honda's 2.2-litre diesel. It helps the CR-V cut CO2 emissions to 119g/km an impressive figure for such a large car and on a par with those of the Mazda CX-5, our Green SUV of the Year. Engine and transmission aside, the 1.6-diesel CR-V is identical to the model that was launched late last year. It's slightly smaller than the previous-generation car, but has up to 1648 litres of boot space, a gain of 174 litres. It will be built at Honda's factory in Swindon, and is due on sale in the autumn. 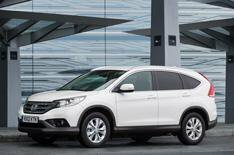 The new model is expected to come in at the bottom end of the CR-V range, perhaps lowering its entry-level price to around 20,000.